Come tour our multiple locations on the property for ceremonies, rehearsal dinners, and the reception. Amazing locations for photos are located all over the farm. Stone Brook Hill Farm is located in a prime year round recreation area in the lakes region of New Hampshire. Nearby area amenities include Gunstock Mountain Resort which has both summer and winter activities and events including skiing, zip line and the mountain coaster. Access to the largest lake, Lake Lake Winnipesaukee is provided at ELLACOYA STATE PARK . The Belnap mountains offer many options for hiking nearby and there I s also hiking access from the farm. If you are looking for unique New Hampshire farm wedding venue you have come to right place! 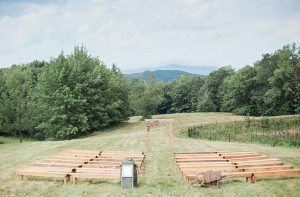 We welcome you to imagine the perfect NH wedding venue at Stone Brook Hill Farm, set amidst the hills and lakes of the Belnap Mountain region. The farm features an expansive 185 acres of fields and woodlands including an apple orchard and blueberry field, two Ponds, streams, rolling lawns and fields surrounded by mountain views. 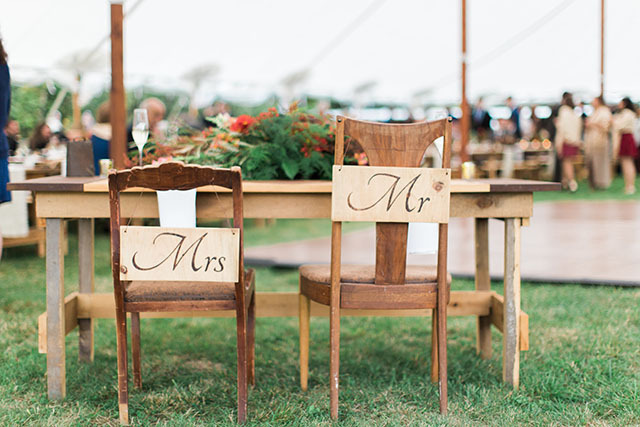 Choose from several ceremony and NH wedding venue options to create your special day. Our farm is a working farm offering blueberry picking in summer and apple picking in the fall. We have two working barns, one with a guest apartment. All weddings would be held on one of our venue sites under a tent. 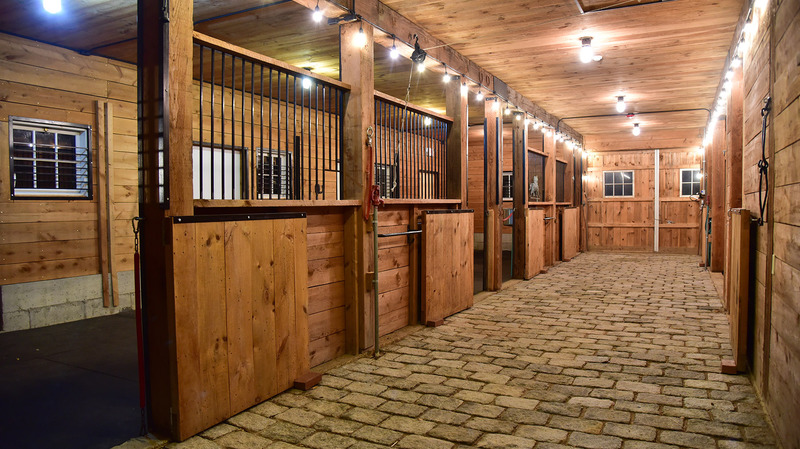 The horse barn (no horses in residence) provides a charming entry for our main ceremony site. A turnkey two bedroom apartment with great room on the second floor of the barn provides beautiful field and mountain views and is a spectacular place for pre-ceremony gatherings for the bridal party. Whether you envision classic elegance or rustic charm, our New Hampshire farm wedding venue can be tailored to create your unique wedding day. The farm offers a choice of reception sites that can be designed with unique layouts and with many options for tent and seating style. The day is yours as only one wedding is held on the property each date for maximum privacy. You will coordinate with an experienced wedding and event planner to ensure that every detail fulfills all your expectations for your wedding day. We strive to offer an exclusive experience in a wonderful lake and mountain setting. Thank you so much ? Everything was perfect. Nicks already trying to find another weekend to come stay up there! We so enjoyed every minute of our wedding & meeting you both! Thank you again! Choice of three sites with option of holding the wedding ceremony at a different location from the reception. Power and water available on primary event sites. Nestled at the base of the woodland. The orchard: available upon approval. Mountain view Barn loft apartment for two nights. Two bedrooms, turnkey kitchen and great room. Tent to accommodate up to 200 people. Sailcloth and clear tent options available for an additional fee. For the bridal party or special guests. Pre-wedding ceremony access to English conservatory for photographs or gathering for the bridal party. Access to barn recreation room for bridal party assembly and/or photographs for day of wedding. On site experienced coordinator to facilitate set up by wedding vendors for catering, flowers, music and photographer direction. I want to see photos from past weddings. I am ready to schedule a private tour.